General overview of "How To Become A #LawyerInCanada and/or the USA https://t.co/lZpKIdTipp – I had completely forgotten about this article. Lawyers in Canada are members are one or more of the bars of Canada’s provinces. In order to be become a member of the bar in a Canadian province, you must complete the “lawyer licensing process” in that particular province. In general, the “lawyer licensing process” includes completing a period of “articling” and passing bar exams. Therefore, to become a lawyer in Canada one must be be allowed to complete the “lawyer licensing process”. In order to complete the “lawyer licensing process”, graduates of law schools outside of Canada are required to have a “Certificate of Equivalency” from the National Committee on Accreditation (“NCA”). Canadians attending law school in the U.K. In recent years it has become more and more common for Canadians to attend law school outside of Canada. A large number of these people attend law schools in the U.K. 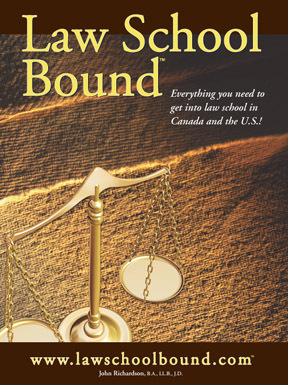 It is possible for Canadians to attend law school in the U.K. and become lawyers in Canada. Graduates of law schools in Canada are allowed to enter the “lawyer licensing process” on the strength of their Canadian law degree. Those applying to Canadian law schools are (in general) required to submit an LSAT score. Those who apply to law schools outside of Canada are NOT (in general) required to submit an LSAT score. This entry was posted in Law school admission consulting and tagged bar admission Canada, bar admission Ontario, lsat prep courses Toronto, LSAT U.K. law schools, non-Canadian law degres on October 8, 2016 by prelawforumcanada.